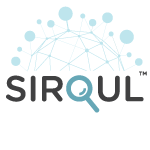 Sirqul enables the rapid conceptualization, development, deployment, and monetization of branded, connected IoT applications and solutions in the Cloud and at the Edge. Sirqul's approach to providing platform solutions is novel. The company distilled common application features found in the most popular applications into core 'ingredients' and ensured these services work seamlessly with each other. This approach enables developers, to combine these ingredients into custom IoT 'recipes' faster and more cost effectively to generate more engagement and revenue. Learn more by taking a look at our documentation, tutorials, guides, use cases and recommendations. IMPORTANT: It is highly recommended that this product be deployed via cloudformation template. This is an enterprise solution that is optimized to have auto-scaling and dedicated hardware for every tier of the stack, and should be deployed with the following cloudformation template: https://s3-external-1.amazonaws.com/cf-templates-1oupnusi52fb1-us-east-1/20180402p0-sirqul-marketplace-3_16u3.txtb1592otulqu. Launch an enterprise IoT application stack on the AWS Marketplace in a matter of minutes with the same internal buy-in and approvals you already have to run your cloud on AWS. Build and release fully functioning IoT applications in weeks instead of months while owning your Customer and user data end to end. Reuse, repurpose and augment applications with ease because all Sirqul elements interoperate harmoniously with each other.